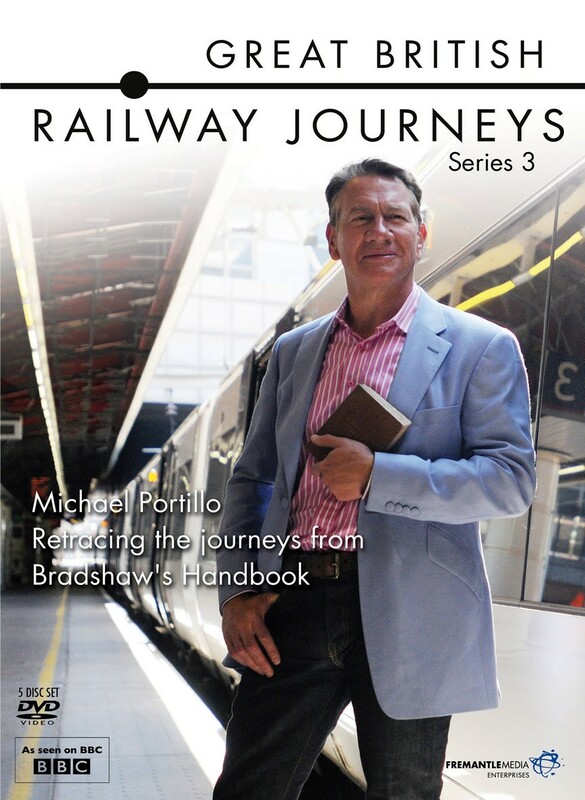 Michael Portillo takes to the tracks with a copy of George Bradshaw's Victorian Railway Guidebook. In a series of five epic journeys, Portillo travels the length and breadth of the country to see how the railways changed us, and what of Bradshaw's Britain remains. Michael follows the route of the Great Eastern Line, which ventures from the edge of England, to the centre of the country's financial capital London. He goes in the footsteps of Queen Victoria, following the railways she once rode from her castle in Windsor to the Isle of Portland on the south coast. Then he travels west, from Oxford in the heart of England, through the Malvern Hills and into Wales, with the unique Victorian heritage of the South Welsh coastline. On his fourth journey, Michael goes through some of the North's most dramatic scenery, from Berwick-Upon-Tweed, crossing the Pennines to end on the beautiful and unique Isle of Man. His final journey of the series takes him across the Irish sea, to discover the rich railway history of both the Republic of Ireland and Northern Ireland, following the unfurling 19th century expansion of the rails from Dublin to Londonderry.